Carrier Community (CC) is a global telecom club established since 2008 and organising annual global carrier community meetings in LATAM America since 2015 for the members. CC is organizing successfully its 5th annual LATAM 2019 GCCM – on 20th & 21st August 2019 in São Paulo at the Hilton Hotel, Brazil. More than 250+ Club Members from 100+ operators in 20+ countries while representing decision-makers from the Tier-1, Tier-2 and Tier-3 meet and network in São Paulo during the GCCM and its evening networking cocktail receptions. CC is bringing together members and Telco Eco-Partners from various segments such as Data, Cloud, Application Providers, Voice, SMS Messaging , Mobile, OTT/ Content Providers, VAS, Submarine Cable, Enterprise, Satellite, ISP, Data Centers and other related segments while meeting, networking with peers and exploring new business opportunities, discussing latest market trends at the panel sessions and show casing their latest solutions. CC is having strategic Partnership with largest Internet Association in Brazil: abranet and abrint to further establish GCCM for the community members in the LATAM region and invite their ISP members to join the GCCM platform while networking and doing business with the regional and international CC members attending the LATAM 2019 GCCM in Sao Paulo. 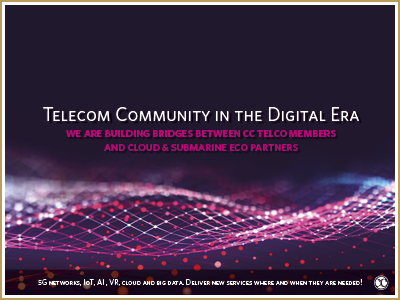 An exclusive telco service provider and telco eco-partners event. Meet more than 180+ members representing 80+ regional and international telecom operators and eco-partners. Competitive entrée rates for 2 days at EUR 299 per delegate including all leisure activities and networking receptions. Topic: How Telecall can help ISPs complete their Triple/Quad play offer? Relax in our rooftop pool with great views of The Estaiada Bridge, or enjoy a workout in the full equipped gym with panoramic city views. Hilton Sao Paulo Morumbi, with convenient access to businesses, a heliport and shops, features art in its restaurant, joyful happy hour in an open terrace, spa and beauty salon. Find great business facilities at this Sao Paulo hotel, including WiFi, 19 meeting rooms and a ballroom for up to 600 people. Single Occupancy: R$ 638,50 per night. Double Occupancy: R$ 680,50 per night. All the requests must be identified with the special code “ACARR1”. Kindly note: the above rates applies on the dates 17th – 21st of August 2019. For any other dates you need to contact the hotel. Oscar brings 15+ years of experience securing voice, data and video infrastructure for the wholesale and retail industry. Oscar leads ASLO, a Cibersecurity Managed Services Provider specialized in voice networks. ASLO absolves customers from the inherent financial and operating risk in real-time communications environments. ASLO collaborate to monetize efforts to prevent several types of fraud while protecting the Service provider bottom line and enhancing value to end-users. Prior to leading ASLO, Oscar held the VP of Operations in VoIP Logic (acquired by Broadsoft) and the VP of Operations at RedIP México, a pioneer in deploying triple play and VoIP in the country. Basilio Pérez es miembro de la Junta Directiva de Abrint. 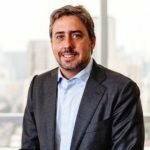 Pérez es también fundador y actual director de operaciones en Bignet en Santos un proveedor de acceso (ISP) fundado en 1995, que inició sus actividades con acceso telefónico a Internet y actualmente atiende a sus usuarios con fibra óptica (FTTH) y también radios. Pérez tiene un MBA en gestión estratégica de la Universidade de São Paulo-USP y se graduó en ingeniería electrónica por la Universidade Santa Cecilia. Twenty years of Sales, Marketing, Portfolio, Alliances, Business Development, Client, People, Relationship, General and P&L Management experience in large multinational and start-up companies in Technology segment, working with business solutions, products, services, hardware, software, new technologies (Big Data, BI, Analytics, Cloud, AI, Blockchain), outsourcing, BPO and consulting. Significant experience building, managing, developing and leading high-performance teams, strategy plans, business turnarounds/transformations, start-ups and relationships with large and mid-sized corporations, sales channels and strategic partnerships. Personal attributes developed on the last fifteen years in a leadership comprehensive career focused on growth and dealing with challenges and complex problems in executive position, management and advising. 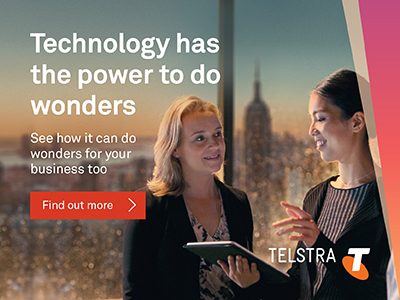 As the leader of BT Global Telecom Markets (GTM) in Latin America and the Caribbean, Joselito Bergamaschine develops and manages traditional as well as next-generation businesses with operators, mobile operators, broadcasters and ICT companies. Prior to joining BT in 2007, he held management positions at companies such as AT & T, Orange Business Services, Power & Tel and Comsat International. He brings 16 years of experience and deep business knowledge of Latin America and the Caribbean. Joselito holds a degree in Electrical Engineering from Inatel do Brasil, one of the most prestigious engineering and technology schools in Latin America. Mr. Cristiano H. Ferraz graduated in Telecommunications Engineering from Universidade Federal Fluminense in Rio de Janeiro, Brazil, in 1978. Currently, he holds the position of CTO (Chief Technology Officer) at Netcon Americas, specialized in Industry and Market Analysis and Engineering and Consulting for mission critical telecommunications networks, covering the entire American continent. 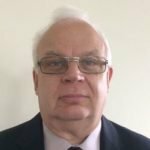 He is also an associate professor and senior consultant at UNISAT, with a very broad knowledge of telecommunications and specializing in the latest related technologies (Optical Communications, Broadband Access Networks – wireless, HFC, xDSL and xPON –, Ethernet technologies and services, IoT technologies, etc.). Mr. Ferraz also teaches graduate courses in several Latin American universities and has authored several dissertations and Technical Information papers published by international organizations, and has created and imparted technology courses for several companies across the continent. He is the co-author of twon recently published books (“New Technologies for Ethernet Networks”, Rio de Janeiro, 2017; and “Carrier Ethernet – Standards, Services and Applications”, Rio de Janeiro, November 2018. Mr. Ferraz is also a member of the Board of Directors of SINDITEC (Employers' Union of the Electronic Industry, Informatics, Telecommunications, Software Production, Hardware Production, Production of Electrical and Electronic Products and Components in the State of Rio de Janeiro), and as such an active member of FIRJAN (the Federation of Industries of Rio de Janeiro state). He was a longtime employee of Wandel & Goltermann (later Acterna, JDSU, ViaviSolutions). His professional experience with that employer includes the positions of regional director for the northern section of Latin America and of Director of Technical Transfer for Latin America, Spain and Portugal. 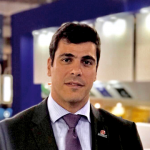 Mr. Ferraz is dedicated to new technologies used in telecom networks, including optical transmission, RF an Access. He has more than 25 years of experience designing synchronization systems and networks for telecoms, and especially, in the last few years, for smart grid and IoT applications. During his long career he has provided consulting services to several telcos in the Americas as well as to ITU-T and PNUD. Infrastructure Manager IX.br, the Internet Steering Committee project in Brazil (CGI.br) implemented by NIC.br, which operates Internet Exchange Points installed in 27 locations in Brazil. Graduated in Engineering from the University of São Paulo (USP), he holds an MBA in Project Management from Fundação Getúlio Vargas (FGV). 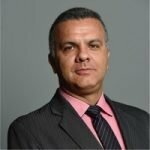 Sou graduado em Administração de Empresas pela Anhembi Morumbi e tenho Pós Graduação em Finanças pela FMU. Atuo como comprador de links PAP especializado na Equinix, maior rede de Datacenter do mundo. 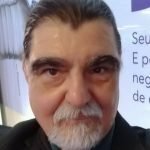 Em meu ramo de atuação proporcionamos aos vendedores as melhores condições comerciais para aliar os projetos de Real State e TI com a conectividade necessária para o transporte. Temos uma relação próxima a todas as maiores operadoras do Brasil e do Exterior conseguindo viabilizar negócios e ajudar a Equinix a crescer cada dia mais. Proactive action next to the “Board”, being responsible for the definition and implementation of strategies, reports, policies and standards for projects finalization, as well as the development/ management of budgets and contracts with suppliers. UFINET is an international carrier of carriers in the wholesale telecom market. We are a MEF Carrier Ethernet 2.0 (CE 2.0) certified for E-LINE, E-LAN, E-TREE and E-ACCESS Capacity services. As a neutral optical fiber wholesale operator, we provide data connectivity services to operators and system integrators through fiber optic, both in small and large scale, with extensive fiber optic network coverage in major cities in the 20 countries where we operate. More than 66,800km of fully owned optical fiber deployed and over 20 years of experience is what makes us one of the favorites in the Latin America region and in Spain. Our vast network capillarity in the most important cities, with end-to-end fiber optic connections, financial strength, personalized service, client orientation, flexibility, agility and neutrality differentiates us in the telecommunications market. TIM’s mission is to connect and care for each customer, so that everyone can do more. Its motto – “To evolve is to make it different” – highlights the Company’s evolution in the country and its innovative and pioneering approach. Based on its Investment Plan, specially focused on network infrastructure, and followed by innovation pillars, quality and user experience, TIM leads market trends. A few examples are pay per call, ending long distance differentiated calling rates and third party operator charges, fixed daily or monthly rate to access mobile internet and the main focus is investment in 4G tecnology in order to lead the latest generation data coverage. TIM is the leader in governance practices and is the only company in the telecommunications sector in the New Market of Commodities and Futures Exchange of the São Paulo Stock Exchange (Novo Mercado da BM&FBOVESPA), recognized as having the highest level of corporate governance, in addition to being part of the Corporate Sustainability Index (ISE) and Carbon Efﬁcient Index (ICO2)). 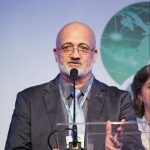 Other highlights include the initiatives of the TIM Institute (www.institutotim.org.br), which seek to create and enhance strategic resources for the democratization of science and innovation in Brazil. For more information, please visit www.tim.com.br, www.twitter.com/timbrasil, and www.facebook.com/timbrasil. GlobeNet provides International capacity between North and South America over its award-winning submarine cable system serving Brazil, Bermuda, Colombia, the U.S.A., and Venezuela. Covering a distance of more than 23,500 kilometers, the sophisticated submarine cable network system offers the lowest latency available between the Americas. The network links cable landing stations in Tuckerton, NJ and Boca Raton, FL, USA, with cable landing stations in Fortaleza (CE) and Rio de Janeiro (RJ), Brazil, St. David’s, Bermuda, Barranquilla, Colombia as well as Maiquetía, Venezuela. GlobeNet is a portfolio company of BTG's Infrastructure Fund II. 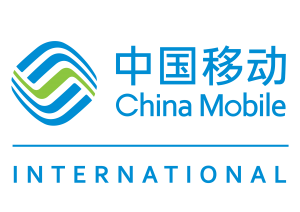 China Mobile International Limited (CMI) is a wholly-owned subsidiary of China Mobile Limited, mainly responsible for the operation of China Mobile’s international business. 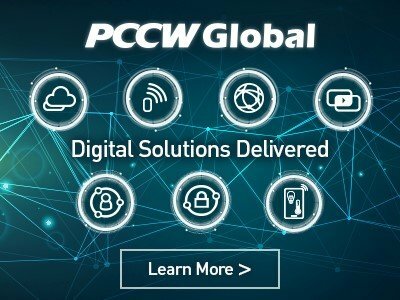 As the world’s leading telecommunications operator, China Mobile has owned rich network resources, large customer base and high market value and it strives to continuously expand its global network and international business. In order to provide better services to meet the growing demand in the international telecommunications market, China Mobile established a subsidiary company, CMI, in December 2010. 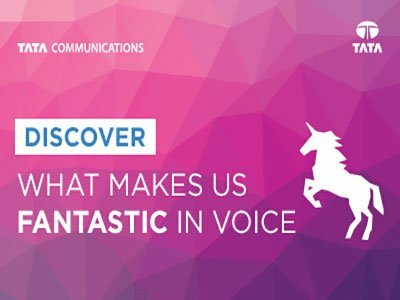 Leveraging on the strong support of China Mobile, CMI provides a variety of high quality international services on data, mobile, voice, roaming, and MNC solutions across the globe. Headquartered in Hong Kong, CMI has expanded our footprint in 22 countries/regions.